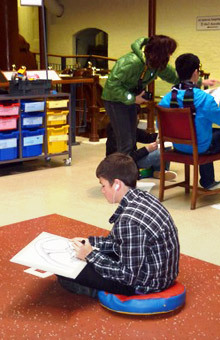 We produce teachers’ resources so that schools can make the best use of site visits. We include background information for teachers with clear links to the National Curriculum, suggestions for pre- and post- visit activities, work sheets for use on site, lesson plans and whiteboard Powerpoints for use in class and assemblies. Working with Julia Holberry Associates and Courtney Consulting, N&E contributes learning and interpretation for Heritage Lottery Fund Activity Plans. 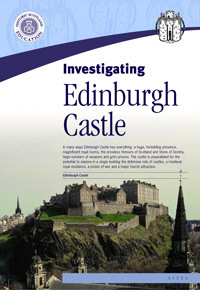 Themed booklets for Historic Scotland including Edinburgh Castle, the Wars of Independence and Historic Castles of Scotland, plus information leaflets on various smaller sites. 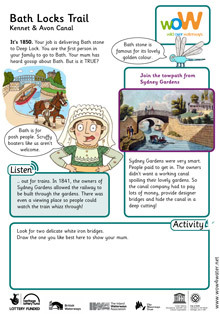 Downloadable Fact Files and Trails for the Canal & River Trust designed to bring Britain’s wonderful canal heritage alive for school groups. Producing resource materials and a handling collection for Torre Abbey in Devon to complement the fabulous new Learning Lab to be opened summer 2013. Developing topic packs and white board resources for the Heartlands Ring Project in Birmingham specifically for the culturally diverse community of this area. Writing scripts for the exciting new Canal & River Trust website. Art to make you Scared!